companies. The new ornament features the Aerovent Fan Company and depicts a side view of the building on Aerovent Drive. The ornament is brass. The ornaments are packaged in boxes specially produced for the project by Piqua Paper Box Company. The cost per ornament is $12. Aerovent Fan Company started in 1926 as the Piqua Electric Service Company. In 1932 they changed their name to the Aerovent Fan Company and moved to the 700 East Ash Street location in 1934. The Aerovent Fan Company expanded and produced industrial fans and crop dryers. 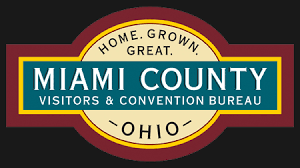 After being purchased by two out of area firms they closed permanently in Piqua 1993. 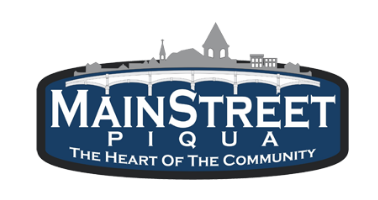 Piqua, is produced each year and it is the goal of Mainstreet Piqua to feature items made by both historical business as well as those still present in the community. Companies that have been featured on the Made in Piqua ornament series include Decker’s, Hartzell Propeller, Favorite Stove Company, The French Oil Mill Machinery Company, Meteor Motor Car Company, Piqua Paper Box Company, Atlas Underwear Company and Jackson Tube Service. The ornaments are available at the Mainstreet Piqua office, 326 N. Main Street as well as Readmore Hallmark, 430 N. Main Street, Apple Tree Gallery, 405 N. Main Street and Tapestry Angel, 516 Spring Street.